The Dragonfly Foundation is incredibly grateful for the continued moral and financial support we receive from Mark & Melissa Matson and the Matson Family Foundation!! 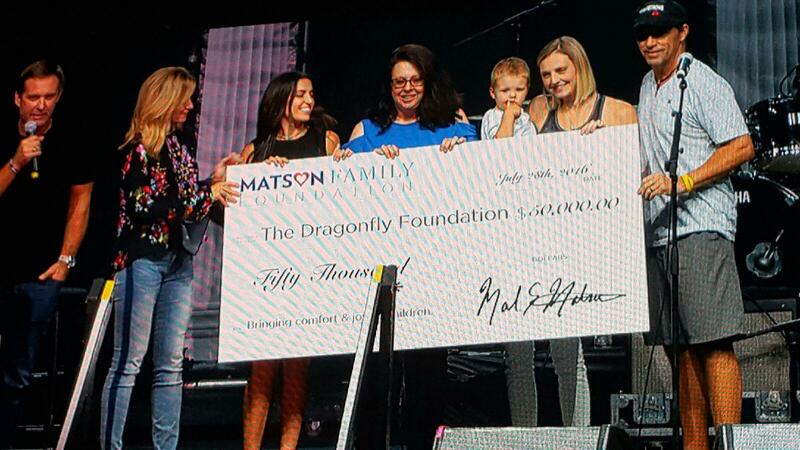 At this year’s (incredible, amazing, inspiring) Matson Money® Investor Symposium at the Duke Energy Center, Dragonfly was presented with another check for $50,000! The support will enable Dragonfly to maintain and expand the number of young patients (and families) who benefit from our gifting and support programs, Beads of Courage, event opportunities. With 80% of our donations at $5,000 or less, a donation of this magnitude is incredibly important to us, and our ability to meet current and future needs.